A team of biologists and computer scientists at New York University (NYU) has mapped out a network of interactions for how plant genes coordinate their response to nitrogen, a crucial nutrient and the main component of fertilizer. The team focused on gene regulatory networks, which consist of transcription factors and the target genes that they regulate. These gene regulatory networks enable organisms to adapt to fluctuating surroundings. However, multi-cellular organisms present a challenge for mapping all connections as the nature of interactions within these complex networks are difficult to experimentally validate using common methods. Using Arabidopsis, the team combined innovative experimental and computational methods to characterize the gene network underlying nitrogen responses. They scaled-up a cell-based technique that allowed them to experimentally determine more than 85,000 connections between 33 early nitrogen-responsive transcription factors and the target genes they regulate in approximately two months' time. Collectively, the 33 transcription factors regulate 88 percent of the nitrogen response genes in plants. Through the approach they call Network Walking, the scientists could use this vast amount of data to chart a path for a transcription factor from its direct gene targets in root cells to indirect gene targets in plants. For more details, read the NYU news article. A close relative of wheat, jointed goatgrass (Aegilops tauschii) has been worsening the problems of Chinese farmers. Mesosulfuron is the only wheat-registered foliar-applied herbicide that provides control of jointed goatgrass in China, but using it damages wheat crops. Non-transgenic wheat varieties tolerant to imidazolinone (IMI) herbicides can help solve these problems, but IMI herbicides remain in the soil and severely damage sensitive crops planted months and even years later. Researchers at the Institute of Genetics and Developmental Biology of the Chinese Academy of Sciences (IGDB, CAS) and China Agricultural University (CAU) generated several herbicide-tolerant wheat germplasms using base editing to facilitate weed control in wheat fields. The wheat germplasms harboring herbicide tolerance mutations confer tolerance to sulfonylurea-, imidazolinone- and aryloxyphenoxy propionate-type herbicides by base editing the acetolactate synthase (ALS) and acetyl-coenzyme A carboxylase genes of commercial wheat cultivar Kenong199. The mutations at wheat ALS P174 codon (TaALS-P174) endow tolerance to nicosulfuron, a sulfonylurea herbicide with a relatively low risk to subsequently planted crops. The mutations at both the TaALS-P174 and TaALS-G631 conferred tolerance to imazapic, an IMI herbicide, at three to five times the field-recommended rate. 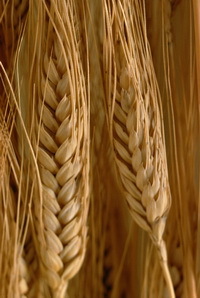 The researchers also obtained quizalofop-tolerant wheat by editing TaACCase-A1992. The researchers also found that base editing at TaALS-P174 endowed wheat with sufficient resistance to nicosulfuron herbicide in MS growth medium to allow selection. For more details, read the CAS Research News. 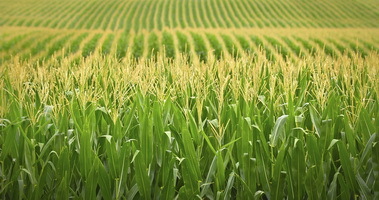 VIB has been granted a permit to proceed with its field trial with maize plants containing small surgical CRISPR-induced heritable changes. This permit allows VIB to continue the work that began in 2017. Dirk Inzé, scientific director of the VIB-UGent Center for Plant Systems Biology said, "There is a worldwide consensus that CRISPR-modified crops are at least as safe as traditionally generated mutants." In the field trial of maize plants, mutations are induced in genes involved in the repair of DNA damage. The researchers hope that this will make DNA damage in these plants caused by environmental stress (heat, UV radiation, drought) to accumulate more easily. Through this alteration, the plants can be used as a biosensor to signal the consequences of environmental stress at DNA level. The plants from the field trial are not meant to be further developed and will never enter the market or food chain. For more details, read the news article in VIB News. Xanthomonas oryzae pv. oryzae (Xoo) causes serious bacterial leaf blight disease disease to many major rice cultivars, including the Bacthom 7 variety. OsSWEET14 belongs to group III of the OsSWEET family encoded sugar transport proteins and seem to be one of the susceptibility genes for infection of Xoo in rice. In a study published in the Journal of Agriculture and Rural Development, the pathotype of 18 Xoo strains collected from eight provinces in North of Vietnam with Bacthom 7 genotype was evaluated. The findings showed that Bacthom 7 variety was very sensitive to 17/18 Xoo strains. The expression of Bacthom 7 OsSWEET14 was induced by three of five representative Xoo strains, including XO_52, XO_59 and XO_69. The DNA fragment of Bacthom 7 OsSWEET14 promoter was isolated, cloned into the pGEM-T vector and sequenced completely. The isolated promoter showed the similarity of more than 99 percent with the published OsSWEET14 promoter sequence (AP014967.1 and CP012619.1), contained four effector binding elements (EBE), including TalC, Tal5, PthXa3, and AvrXa7 that recognized by the type III-secretory transcription activator-like (TAL) proteins of the Xoo. This research is the basis for generating bacterial leaf blight disease resistant Bacthom 7 rice variety in Vietnam. Read the original article (Vietnamese) in the Journal of Agriculture and Rural Development. RNA interference (RNAi)-based host-induced gene silencing (HIGS) is one of the new tools used in fighting phytonematode infection in crop plants. Mi-msp-1, an effector gene expressed in the subventral pharyngeal gland cells of root-knot nematode (Meloidogyne incognita) has a vital function in the parasitic process. Scientists from Indian Agricultural Research Institute and other institutions generated six eggplant transformants with a single copy RNAi transgene of Mi-msp-1. The transgene was expressed in T1, T2 and T3 transgenic lines for which a detrimental effect on root-knot nematodes penetration, development and reproduction was documented upon challenge infection with nematode juveniles. Furthermore, the post-parasitic nematode stages derived from the transgenic plants exhibited long-term RNAi effect as manifested in the targeted downregulation of Mi-msp-1. The results of the study imply that HIGS of Mi-msp-1 improved resistance to nematode in eggplant and protect the plant against RKN parasitism at the very early stage. For more details, read the results published in Transgenic Research. Wheat is one of the most popular cereal grain, taking up a large portion of the total cultivated land. Since drought is considered as one of the major sources of stress in plants, developing drought resistance trait while maintaining favorable yield is important. A sunflower gene (HaHB4 or Helianthus annuus homeobox 4) has been found to encode a transcription factor linked to tolerating environmental stress. Thus, scientists from Instituto de Agrobiotecnologia Rosario and Consejo Nacional de Investigaciones Cientificas y Tecnicas in Argentina introduced HaHB4 in wheat and analyzed its compositional equivalence with non-transgenic wheat. The results are published in Transgenic Research. 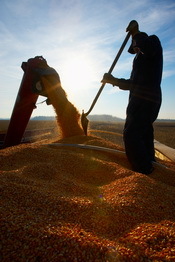 The researchers analyzed 41 nutrients and 2 anti-nutrients for grain and 10 nutrients in forage through several tests. The findings showed that the transgenic wheat (HB4 wheat or event IND-ØØ412-7) is compositionally equivalent to non-transgenic wheat. The world's smallest tomato has been developed by scientists at the National University of Colombia. Dr. Martha Lucia Orozco, agricultural engineer at the National University of Colombia Headquarters in Palmira said that the material was obtained from a cherry tomato cultivar which has been under study for 10 years. Dr. Orozco said they used CRISPR technology to induce a mutation in one of the nucleotides of the gene that controls the plant's size. The new variety flowers and grows roots like any other, but on a very small scale, according to Dr. Orozco. She confirmed that it is the world's smallest tomato plant, and smaller than the Micro-Tom variety. It fruits in just two months after planting, has an excellent fruit/leaf ratio, and measures 4cm high by 8cm wide on average, making it suitable for cultivation in space stations. For more details, read the article in HortiDaily or the original article (written in Spanish) in National University of Colombia website. Kyoto University scientists characterized the lignin of mutant rice developed using the CRISPR-Cas9 system. The results are published in The Plant Journal. In a previous study, Yuri Takeda and colleagues identified a rice gene encoding coniferaldehyde 5‐hydroxylase (OsCAld5H1), which was effective in modulating syringyl (S)/guaiacyl (G) lignin composition ratio in rice, a model grass species. The OsCAld5H1‐knockdown rice lines generated using gene silencing, exhibited augmented G lignin units yet contained considerable amounts of residual S lignin units. In their latest study, they generated loss‐of‐function mutants of OsCAld5H1 using the CRISPR-Cas9 system to understand the effect of suppression of OsCAld5H1 on rice lignin structure. 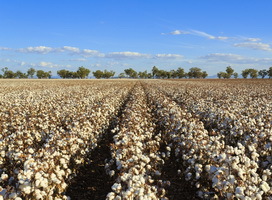 Results showed that all the tested mutant lines were enriched in G units and produced considerable numbers of S units. Surprisingly, analysis showed that enrichment of G units in lignins of the mutants was limited to the non‐γ‐p‐coumaroylated units, while grass‐specific γ‐p‐coumaroylated lignin units were almost unaffected. Further analysis showed that no homologous genes of OsCAld5H1 were overexpressed in the mutants. These data suggested that CAld5H is mainly involved in the production of non‐γ‐p‐coumaroylated S lignin units, common in both eudicots and grasses, but not in the production of grass‐specific γ‐p‐coumaroylated S units in rice. Read the research article in The Plant Journal. The introduction of CRISPR-Cas9 system has led to the development of rapid and cost-effective procedures to generate new mutant populations in plants. Even if genome-edited plants from several species have been developed successfully using a technique wherein a Cas9-guide RNA (gRNA) expression cassette and selectable marker are integrated into the genomic DNA through Agrobacterium tumefaciens-mediated transformation or particle bombardment, CRISPR-Cas9 system increases the chance for off-target modifications, and foreign DNA sequences cause legislative concerns about GMOs. Thus, DNA-free genome editing has been developed, which involves the transport of preassembled Cas9-gRNA ribonucleoproteins (RNPs) into protoplasts derived from somatic tissues by polyethylene glycol-calcium mediated transfection in tobacco, Arabidopsis, rice, potato, etc. or into embryo cells thru the use of a gene gun in maize and wheat. Experts from RIKEN Cluster for Science, Technology and Innovation Hub reported in Nature Plants a genome-editing system via direct delivery of Cas9–gRNA RNPs into plant zygotes. Cas9–gRNA RNPs were integrated into rice zygotes produced by in vitro fertilization of isolated gametes and the zygotes were cultured into mature plants in the absence of selection agents, resulting in the regeneration of rice plants with targeted mutations in around 14 to 64 percent of plants. Based on the study, the new plant genome-editing system has a huge potential for the continuous development of rice and other vital crops. Read the abstract in Nature Plants.